Who Are The Most Influential Vegans? Raw food and vegan diets have gained in popularity the last two decades, and it’s mostly come from outside the traditional circles of medical credentialism. Instead it’s emerged as the result of different amateurs and enthusiasts experimenting with different eating regimes, and the raw/whole food/vegan eating philosophy has gained traction because lots of people have found that it works. Celebrities and athletes have given “clean” diets some attention, but probably the biggest reason for its popularity is the continuous evangelizing done by a hodge podge of entrepreneurs, passionate enthusiasts, and happy practicioners. While I don’t think the rise in popularity of whole food veganism is the result of deliberate action by all these people working together, the following people are 5 of the biggest influencers for whole food diets. Disclaimer: I’m writing this article using only second hand information, so if my details of any of these people is inaccurate, please let me know and I’ll make corrections ASAP. 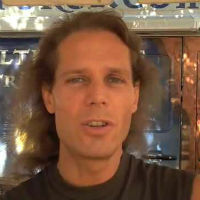 has been a passionate evangelist for raw foods the last 16 years. He has a particular affection for cocoa, and has devoted several movies and organizations about its healing and medicinal powers. In addition to cocoa, he’s been an outspoken supporter of the robust health properties of various “superfoods” from all over the world. He’s an avid public speaker, and has been giving public presentations for more than 16 years. He’s one of the founders of the Sun Foods line of health products, in addition to the Fruit Tree Planting Foundation, which is attempting to plant 18 billion fruit trees around the world. Jameth Sheridan is the founder of the company Healthforce, which makes a line of superfood powders and capsules. He’s been a longstanding figure in the vegan/raw foods movement, and his work originally began by experimenting with different raw food recipes in his kitchen. 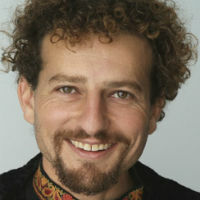 Together he and his wife Kim began publishing different raw food cookbooks, and they began Healthforce in 1990. If you’d believe it, Dr. Sheridan is in his 50’s! He looks quite good for his age. His journey into raw and vegan foods began when he started to research different foods that would improve his athletic performance, which led to veganism, which then led to a raw food diet. 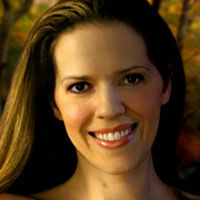 Kristen Suzanne is an author, former body builder, and raw food chef who’s beed educating and evangelizing for a raw food diet the last ten years. Her switch to raw foods began when her body building career led her to try many different supplements and eating regimes, most of which left her energized…but not healthy. The raw food diet worked. What’s unique about Kristen is that, moreso than the others, she lives on a 100% raw diet. I’ve written previously that going 100% raw is not the best idea, but she says it works for her. However, she doesn’t exclusively promote a 100% raw foods diet and encourages people to go 50% raw, or 40%, or 60%, etc. She runs the website kristensraw.com. George Mateljan is one of the most accomplished health food activists the world has ever seen. 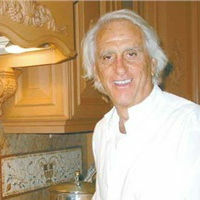 He’s a trained Italian and French chef, and also the proprietor of Health Valley Foods, which was one of the first companies to offer boxed foods that were free of preservatives and unhealthy additives, and was the first company to offer nutrition information on its labels. (That wasn’t a requirement in the 60’s and 70’s). He later sold the company after other firms made his contribution in the area less vital. His next endeavor was whfoods.com, which in my opinion is the best resource for healthy cooking on the net….and maybe the world. The information there is top notch, and it contains fantastic information on the health benefits and cooking techniques for practically any health food in the world. There are much more people than these 4, but they’re some of the most noteworthy. And while I wouldn’t endorse every viewpoint and affiliation the latter 4 people make, they’ve all done a tremendous job of bringing the world’s attention to the remarkable benefits a whole foods diet can bring to so many people. The best special vegan recipe is avocados with raspberry vinaigrette. Yesterday i cooked for my best 7 good friends. They really like my vegan cooking.